You anoint my head with oil. My cup runs over. 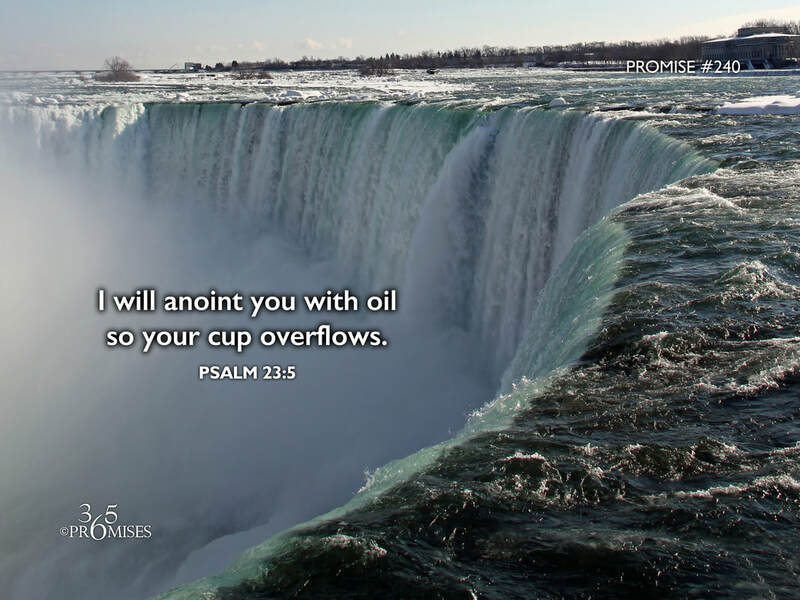 In today's Scripture reference, King David declares that the Lord not only prepares a banquet for him in the presence of his enemies, but God also anoints his head with oil so his cup overflows. What a picture of abundance. Right in the midst of his enemies, David says that there are overflowing blessings. I believe that the anointing that God wants to pour out over our lives today will cause us to live a life of fullness, where others will be able to benefit from the spillover of the anointing of God in our lives. In many Christian circles, the focus is on what we can do for God. How hard we can work, how we can demonstrate our love for Him. While all these things can be good in themselves, if we do them to somehow earn His love, we are missing the point. In 1 John 1:19, the Apostle Johns says, "We love because He first loved us". God initiates, we receive. I believe that the key to living a life from a full cup is coming to the place where we learn to be good receivers from God. The more love we can receive from Him, the more love will overflow in our lives. The more anointing that He pours in us, the more it can be spilled over to others. My prayer today is that we would all learn to become better receivers of the goodness and graciousness of our God and Father so that we might live our lives from a full cup that is continually overflowing.